A stunning guest book for friends and family to record their special messages in. 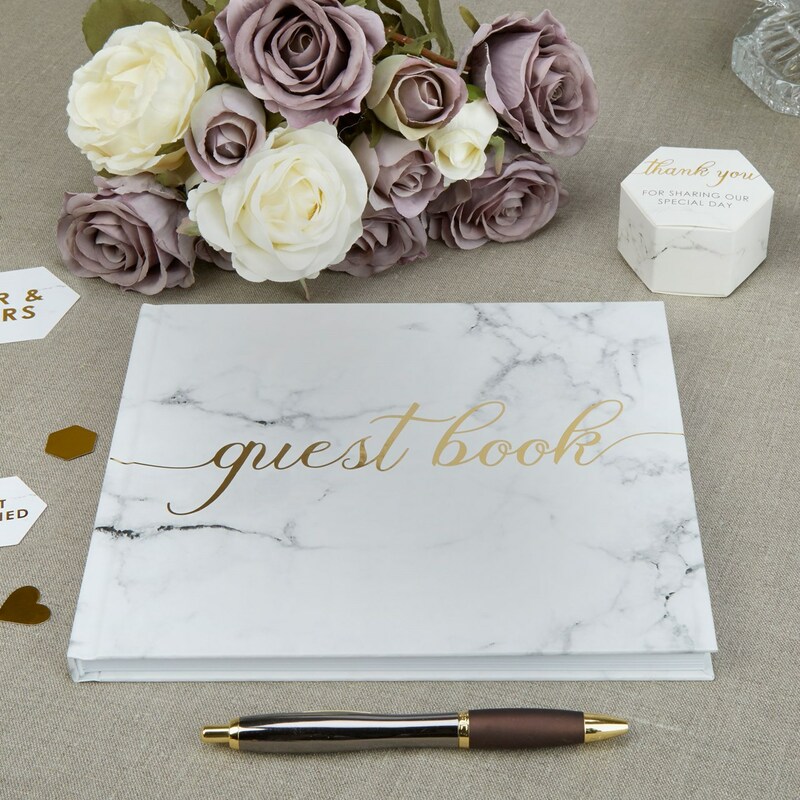 This elegant book blends a simple marble-effect design with striking gold calligraphy to create a wonderful keepsake of your wedding celebration. With a hardback cover and 30 pages to fill, this guest book is perfect for lovers of contemporary and understated design.